The Company provide a multi-discipline professional service in surveys, valuation, estate agency and property management. The organisation currently has 30 employees from surveying, technical and administrative disciplines and are mostly accommodated in their main offices at Hadfield House in Library Street. Our Estate Agency and Chartered Suveryors team, whose offices are in Casemates Square, have been at the forefront of the property market in Gibraltar since 1986. Our involvement in the first and very successful Home Ownership Scheme provided us with invaluable experience. Our residential portfolio will offer you a complete cross section of the available market. As a member of the Royal Institution of Chartered Surveyors (RICS) we are bound by the highest Principles and Code of Conduct. BFA Estate Agents Gibraltar - Our Director Ms. Maggie Mifsud, who can proudly say that her experience generated over 30 years of hard work and commitment to the business together with her staff are one of the most reliable and experienced agencies in Gibraltar. What is important for the client? BFA Valuers has a staff complement of 4 employees, comprised of 3 Chartered Surveyors assisted by support staff. This department is spearheaded by Brian Francis FRICS, Managing Director and Fellow Member of the RICS and is ably assisted by Mark Francis BSc (Hons) MRICS who has over 10 years experience within the property profession both in Gibraltar and in the luxury property market in Spain. Paul Stagnetto BSc (Hons) MRICS, who recently undertook his Assessment of Professional Competence (APC) via the “Commercial Property Practice” pathway, has also achieved the status of Professional member of the Royal Institution of Chartered Surveyors. As a member of the Royal Institution of Chartered Surveyors (RICS) we are bound by the highest Principles and Code of Conduct. 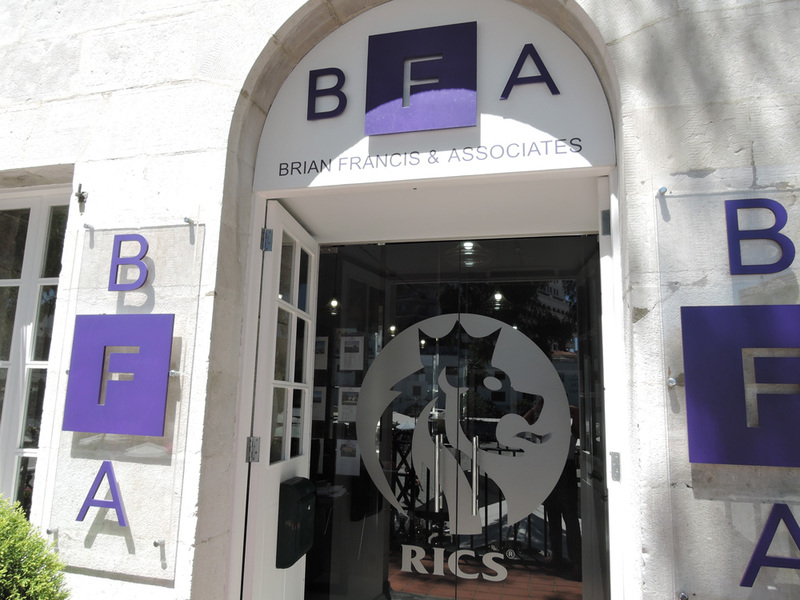 Brian Francis and Associates are a company regulated by RICS which sponsors the valuers registered under the Valuation Registration Scheme and are licenced to provide quality assurance in valuation and professional services under RICS professional conduct. BFA Management is headed by Director Mrs. Yvonne Edmonds. This section is responsible for the Management of a comprehensive portfolio of both Residential and Commercial properties in Gibraltar. At present there are five Estate Managers employed within the company, backed by the administrative and accounting staff. In addition to providing management services to Residential & Commercial Management companies, we also provide rental management service to individuals and corporate clients. This division currently employs 21 members of staff in various disciplines including our IT specialist who plays an essential part in keeping our systems up to date with new technology and the changing needs of our clients.